Not a great deal since my last missive, at this time of year we tend to try to hibernate until the weather improves. Actually so far the weather hasn’t been too bad, no snow on our part of France and temperatures above freezing Famous last words….. In my study we had a wood burner which we had never had fitted (very expensive), so we bought a simple fire grate instead. We thought we’d use this occasionally to heat the study and adjacent sitting room. 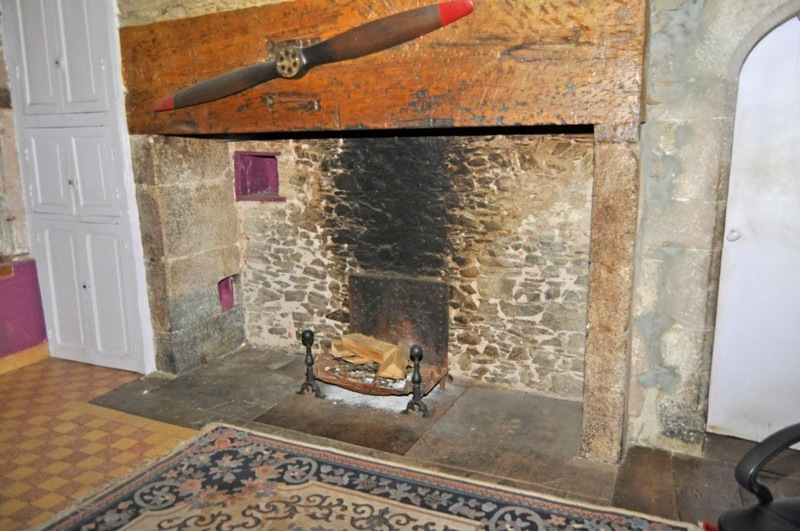 The fireplace is huge, as is the chimney which is normally sealed off with wooden boards. Removing these, and checking the chimney was completely clear I lit a log fire. When, literally, the smoke had cleared it became apparent that the smoke was not going up the huge chimney, but had decided to investigate all our rooms instead. I can still detect a whiff….I’ll try again one day. 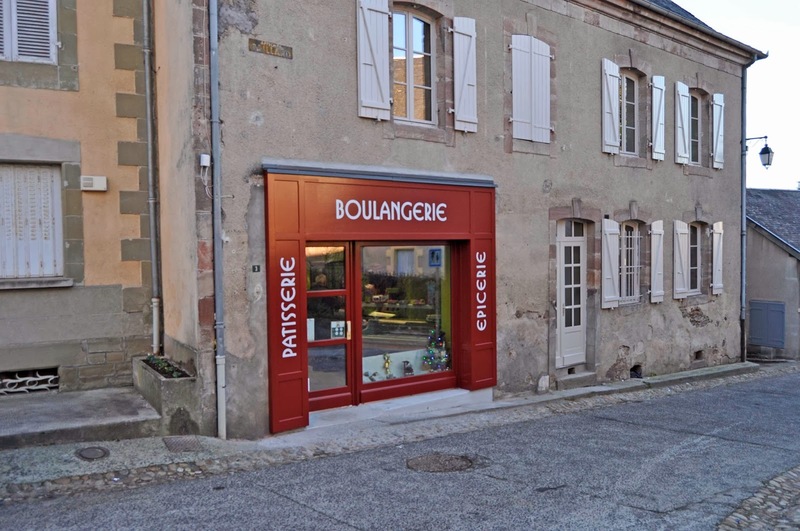 I believe I mentioned that our boulangerie had shut, but that our Mayor considered this unacceptable. 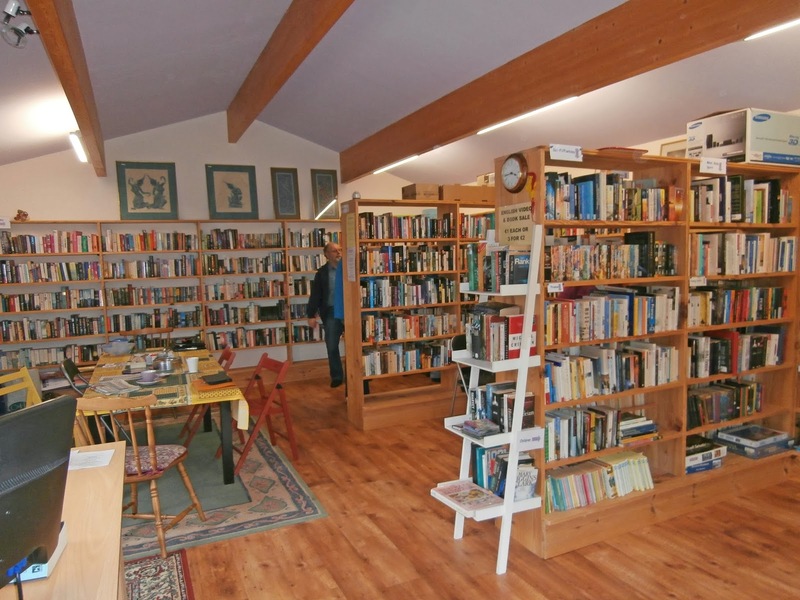 Well after months of building work we have a new shop, with re-equipped bakery and refurbished living accommodation. The bread is delicious and the cakes are pretty good too. We had a very nice day out driving down to the Dordogne to visit another English library. The couple who run it have it in a building which was supposed to be a garage for their new house! It is very well organised, but of course doesn’t come with the cachet of being housed in a chateau! As usual on November 11th we attended the service at the village’s war memorial. This year I was able to get some poppies from the British Legion which I was able to sell to some library members. Speaking of our library we had a very enjoyable quiz night in the chateau at the end of November. More than 30 people came, and we filled them up with bacon rolls. The quiz (prepared i.e. downloaded by me) went down very well and the winning team got a case of Beaujolais Nouveau. We had a very enjoyable drive to the little village of Gimel-les-Cascades, where we duly admired the waterfalls (from a distance) and I was unwise enough to point out a craft shop where they made and sold enamel jewellery. Well that too care of Christmas! 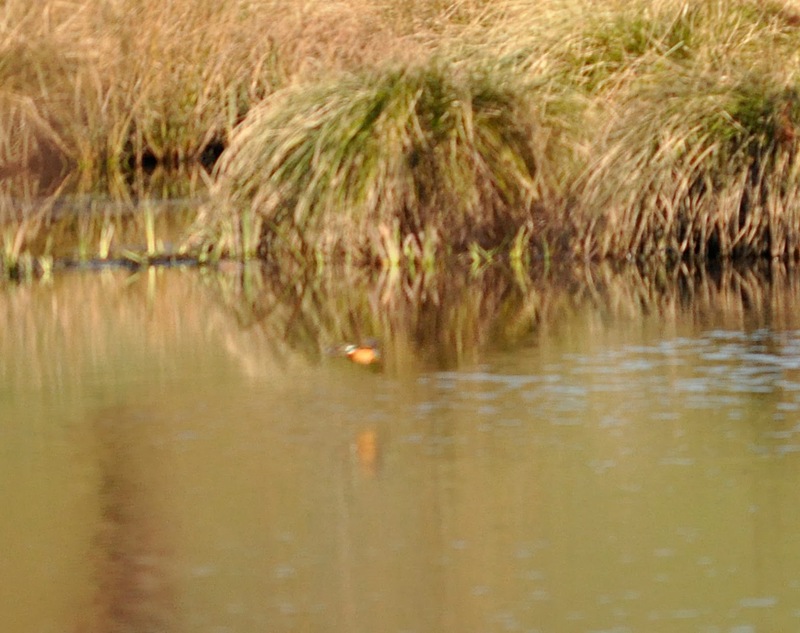 The weather was mild enough for us to stop by a small lake and have a picnic. 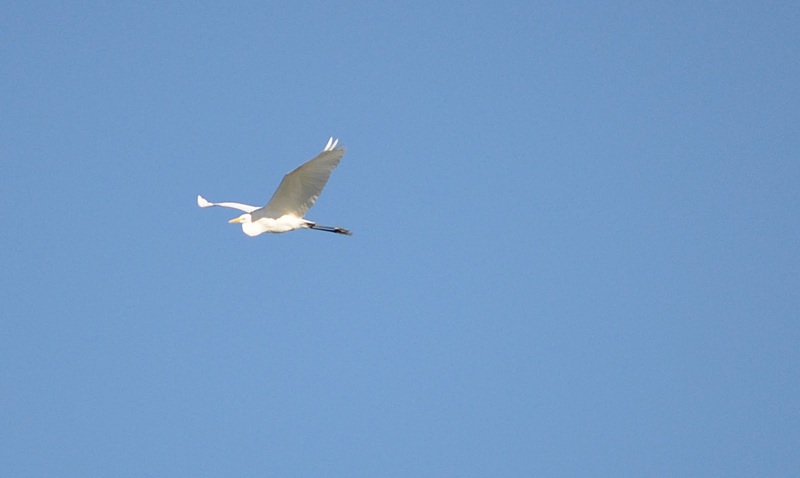 I even got some photos of a heron and a kingfisher (use your imagination on that one). We had a second day out a few weeks later. I was trying to find a small country restaurant which was highly recommended on Trip Advisor. We eventually found it, but of course it was firmly shut (for lunch?). Luckily we had a backup picnic and we ate that overlooking Segur-le-Chateau, one of favourite villages. 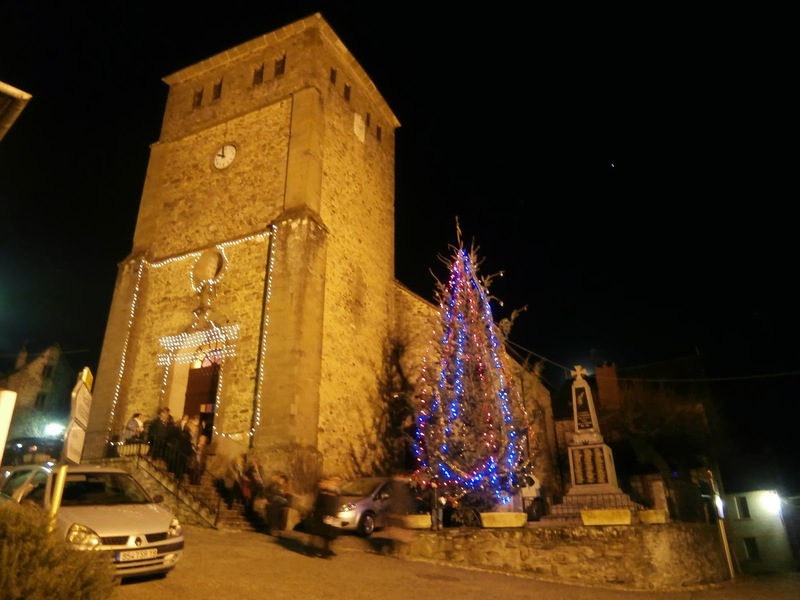 Just before Christmas we went to the carol concert in our local church. 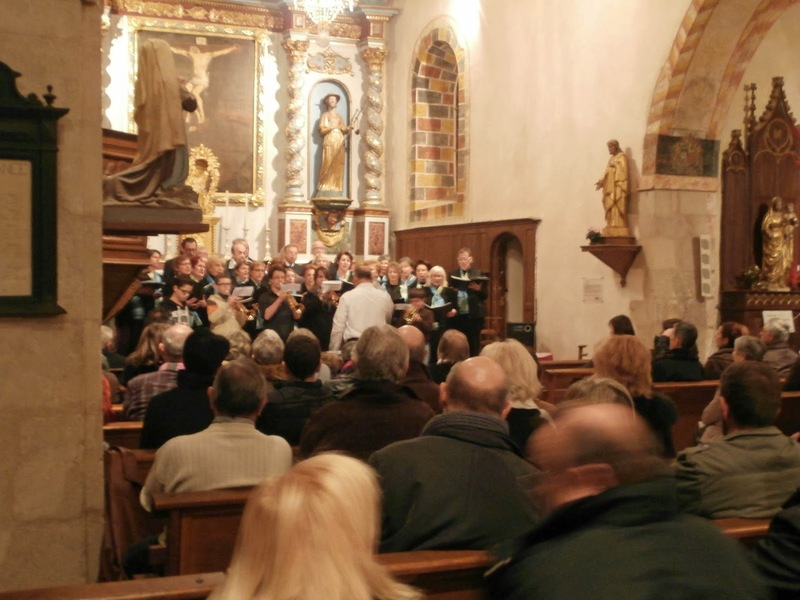 Two choirs, one from our village and one from Varetz about 15km away. Very enjoyable, although a bit chilly. Not any noticeable religious slant, last year when it poured with rain everyone put their wet umbrellas in the font. Christmas itself was very quiet. Our daughter Rachel usually comes over, but she was in the throes of being interviewed for a job in New York, which she got. She has now moved there, so all holiday plans will be up in the air for a while. I actually do a bit of high-tech plane-spotting. Using an app on my iPad I can see what aircraft are passing by, where they came from and where they are bound. Mostly quite boring, but I do like to think of the Virgin Atlantic Airbus which passes over at 11.30 every on its way to Cape Town, as I am safely tucked up in bed. 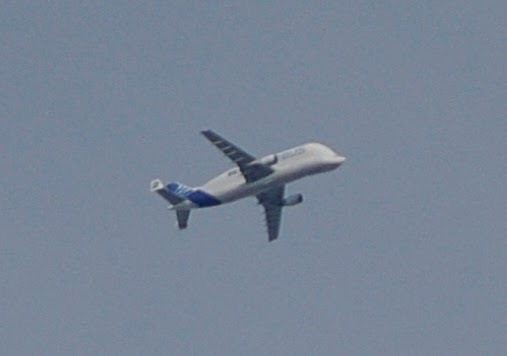 I even managed to get a shot of the “Beluga”, a much adapted Airbus used to ferry very large parts to the assembly halls in Toulouse. Both of us got bad colds after Christmas, and this time we couldn’t blame Rachel for bringing nasty bugs from London. Mine got a bit worse and eventually Judy made me go to the doctor, who diagnosed bronchitis. A course of drugs soon sorted it out, and we are both back to top form now. Judy bought a lovely cake from the boulangerie, and we realised that it was a galette des rois, or special cake to celebrate epiphany after Christmas. We had vaguely heard that there was a special ritual attached to these cakes, and when I nearly lost a tooth on what proved to be a tiny model of the Virgin Mary we looked it up. Apparently if you are lucky (!) enough to find the hidden treasure you wear a paper crown and are king or queen for the day. For Judy’s birthday she hit the local sales a couple of times, and we had an excellent lunch at a restaurant in Brive. She also got lots of Amazon vouchers, flowers from America and a fantastic book on chutneys and preserves. Who would have thought our son could be so thoughtful? (Thanks Lisa). 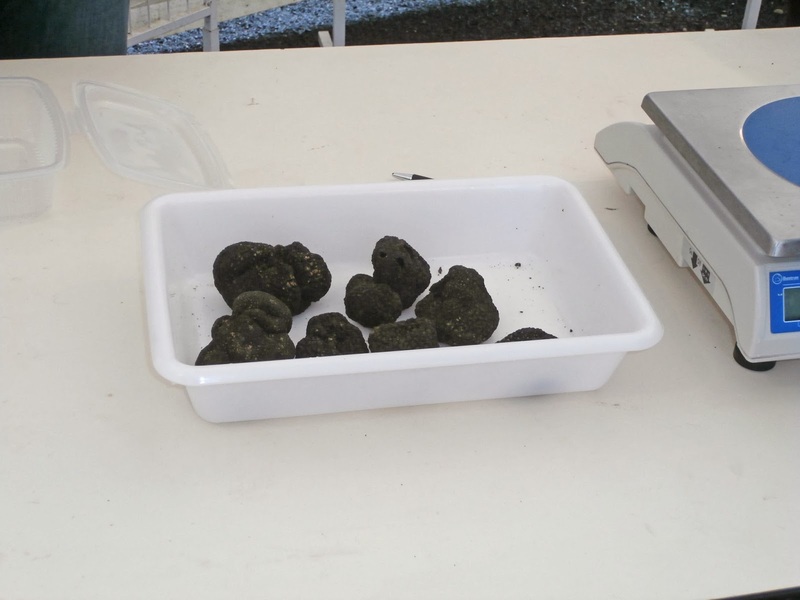 Last year we intended to go a Truffle Fair advertised in the local village of Yssandon, but it snowed heavily on the day. This year was much better so we drove up there. Somewhat disappointing, one stall selling truffles (600€ per kilo last time I looked), and a few others selling local produce. Looking at all the tables set out in the local village hall the important thing was going to be the lunch! Just to show we do know how to have a good time we had a very busy Wednesday a couple of days ago. Morning, indoor bowls with some other Brits and French in a nearby village hall, lunch at the all you can eat Chinese restaurant in Brive and then shopping at the Brive Carrefour Hypermarket. Don’t say I don’t know how to show a girl a good time….